Hilde Hall, a transgender woman, left her doctor’s office this past April with her first prescriptions for hormone therapy as she was about to begin the journey to see her body reflect her gender identity, reported Instinct Magazine. 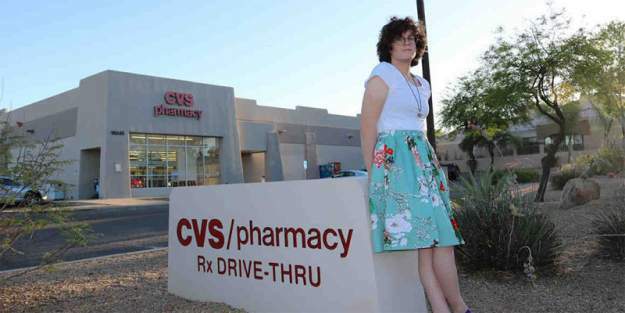 Excited, Hall drove directly to the local CVS pharmacy in a suburb of Phoenix. After handing over the three prescriptions from her doctor, a hormone therapy specialist, the pharmacist refused to fill one necessary to affirm her gender identity. To make matters even worse, when Hall asked for the written prescriptions from the pharmacist so she could leave, he refused to return the written script. Hall was forced to call her doctor’s office to intervene. But, according to reports, the pharmacist refused to return the prescriptions without being told exactly the purpose for the medication. The company later apologized on social media, saying the pharmacist is no longer an employee. According to The Spectrum, hundreds of community members gathered at the St. George Holiday Inn for a light-hearted night of Drag Queen Bingo Saturday to raise funds for Southern Utah’s upcoming Pride festival. A long line formed outside the hotel’s banquet room and the event sold out shortly before it started. Many people stood or sat outside the room to participate. The bingo night raised $2,549, which will go toward expenses associated with organizing Pride of Southern Utah festival scheduled for Sept. 17–22. Batwoman’s Kate Kane is “armed with a passion for social justice and a flair for speaking her mind.” Now the CW wants to add one more thing to that short list: she’s a lesbian. Casting for the pivotal role is currently underway for an “out lesbian actress, open ethnicity, to play age 25 to 29,” according to TVLine. One name that’s being thrown around by fans is Orange is the New Black‘s Ruby Rose. The character will first appear in December 2018 as a crossover between Arrow, The Flash, and Supergirl. A spin-off series will occur from there.